God dal it! Or should that be daal, or dhal?! Who knows. However you spell it, I love dal and this one not only tastes great but it brings back fond memories. I first tasted this dal when I went over to see my friend in the country last year. After several detours I finally arrived at her house, a few hours late and with a rumbling stomach. She made me tea. We drink about a million cups of tea when we are together. Then she set to work making the most delicious dal. She whipped around the kitchen and in no time at all we were enjoying a huge bowl of the most delicious dal I have ever had. Up until this point in my life I had only ever had thick dal served on a plate with rice. This was something else. It was the consistency of soup and could be served in a bowl with rice or with bread for dipping. 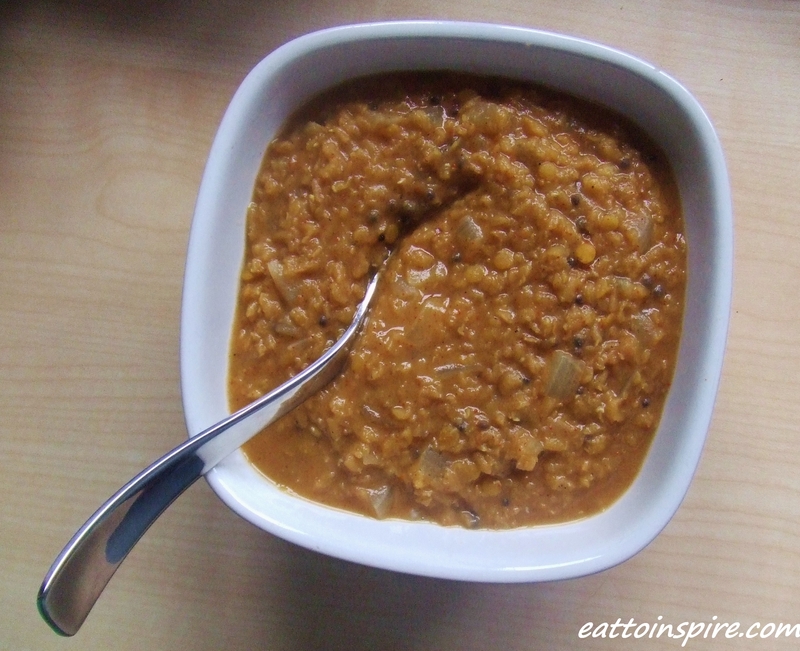 The coconut lends this dal a silky comforting texture and it tastes so darn good. This dal was served once again at my friend’s hen party as a very relaxed lunch to round off the most beautiful weekend of my life. I met so many inspiring, incredible women that weekend and we all rejoiced in celebration of our friendship with the bride to be. The weekend was winding down and one of the wonderful hens set about making this dal for our last meal together. We ate it as we longed for the weekend to never end, but we knew it had to. We left the weekend with a fullness in our hearts as well as our bellies. I will always think of my friend every time I make this dal as it is now my favourite too. Of course I think of you more often than when I make this dal my love! Something else I learned over this weekend was that life is way more interesting when you step a little outside your comfort zone. Honestly my first though on invitation to my first ever hen party was utter excitement… Closely followed by a second thought of sheer panic. Me, a huge introvert going to spend an entire weekend with a group of girls I had never met. I felt my anxieties rising…Would they like me, would I have anything to talk to them about, what would I wear, where would I sleep… I am sure these are not normal things to think upon invitation to your dear friend’s hen party but these were the thoughts rushing through my mind. Of course I was going to go to my friend’s hen party! She means the world to me. I did however go fully prepared for just-in-case I felt any overwhelming social anxiety. In my hen party bag I packed a tent, sleeping bag and sleep mat. Just in case there was nowhere to sleep or I really needed a little space. I am a relatively social creature but oh, do I need my personal space! It is the reason I go hiking and camping alone often. Sometimes I just need time alone to be me and become grounded again. I took books for in case I felt like I needed a quiet moment. I took snacks in case I was hungry. I am fully aware that I eat more food than most people and when I don’t know people I sometimes feel too shy to go back for seconds (or thirds!). I also took an open heart and an open mind. Guess what?! I didn’t need to use any of my just-in-case items. I met the most amazing girls and I instantly felt at ease around them. There was so much amazing and delicious food that you could not believe. I did not have to worry about being hungry ever as my friend is the most wonderful host. We had fresh bread from the village store, salads from the garden, home made hummus, coffee, tea, juice, fruit, cakes, soups. I was in food heaven. We even had vegan marshmallows around the camp fire. There was never a dull or awkward moment. I should have known in my heart that all of my friend’s hens would be wonderful people. Looking back now I feel silly for having irrational thoughts as I know the bride to be would only have amazing beautiful friends. I received the news that I didn’t get my dream job on the Saturday afternoon of the party, but I felt ok. I didn’t get my dream job, but there would be other jobs out there. I was in such a loving uplifting atmosphere that it really seemed like less of a blow. Who cares about jobs when you are surrounded by such love and great vibes. Friendships and relationships are the real salt of my Earth. I feel honoured to have some truly nourishing, nurturing friendships in my life. My friends encourage me to dream big, support my endeavours and do crazy beautiful things with me. The point of my ramble here is to seize opportunities. Grab them with both hands and say yes. Even if you have strange thoughts or doubts. Come prepared for just-in-case if you have to. Remember too that you will not be trapped. If you really aren’t having a good time you can always leave, nobody is forcing you to stay. The older I become the more I am saying yes to people. I realise that opportunities to step a little outside my comfort zone enable me to experience personal growth, often meet amazing people and have a blast. The older I become, the faster the years start to fly by I feel like it is more important to have as many amazing experiences as you can. I almost forgot the recipe, oops! Here is the original recipe from Hasta La Vegan: Easy Coconut Dal. I used a mixed curry powder instead of the other spices as I am currently away at work and didn’t want to bring an entire spice collection! Here are the photograph instructions.. Apologies for the low quality photographs. I didn’t fancy bringing my nice camera on my public transport journey which included the tube. 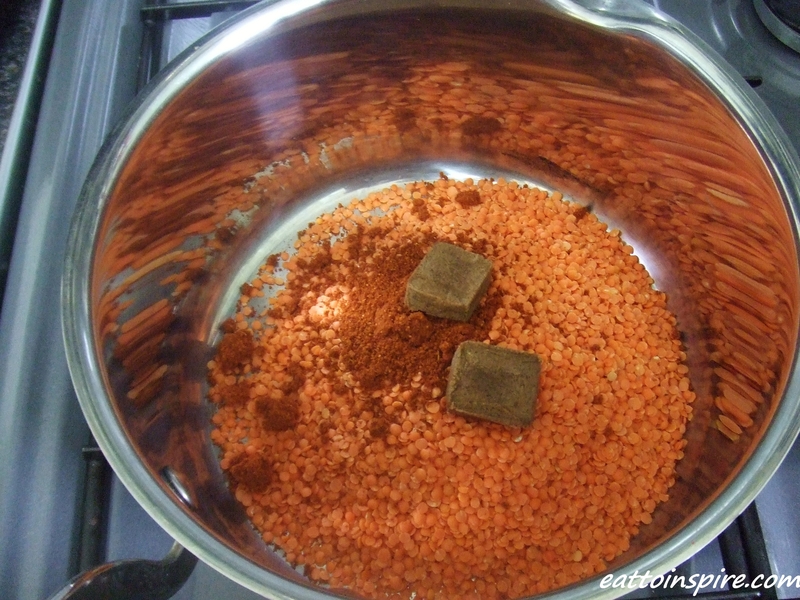 Put the lentils, stock cubes and spices in a big pan. Add 2.5 pints of water, bring to the boil and simmer. 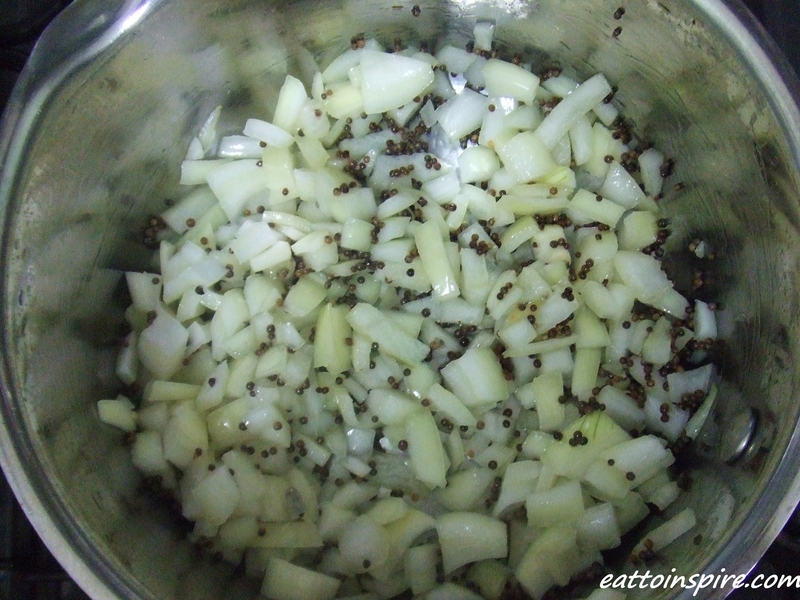 When the mustard seeds change colour to grey / black, add the diced onion and cook on a very low heat until the onion is soft. 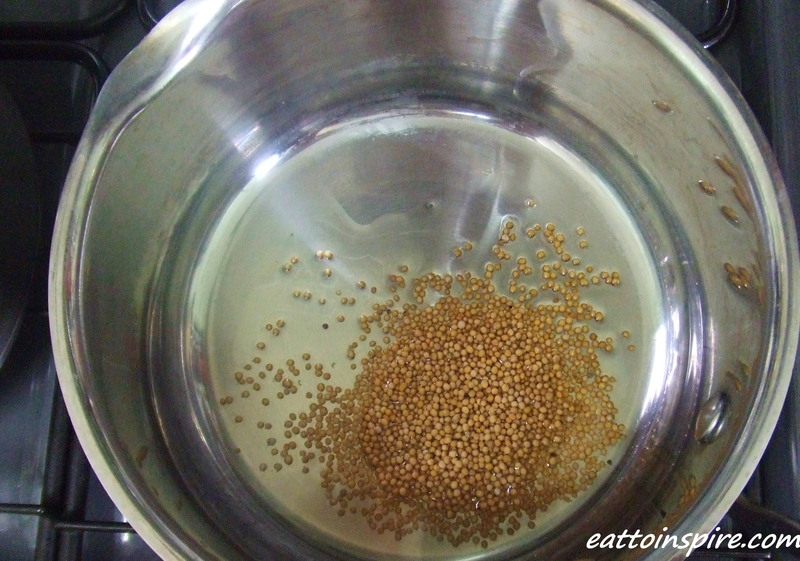 Add the onion and mustard seeds and your coconut to the lentils. Easy peasy lemon squeezy! I half filled my bowl with rice then topped with the dal. Of course I unashamedly went back for a second bowl… you know me! 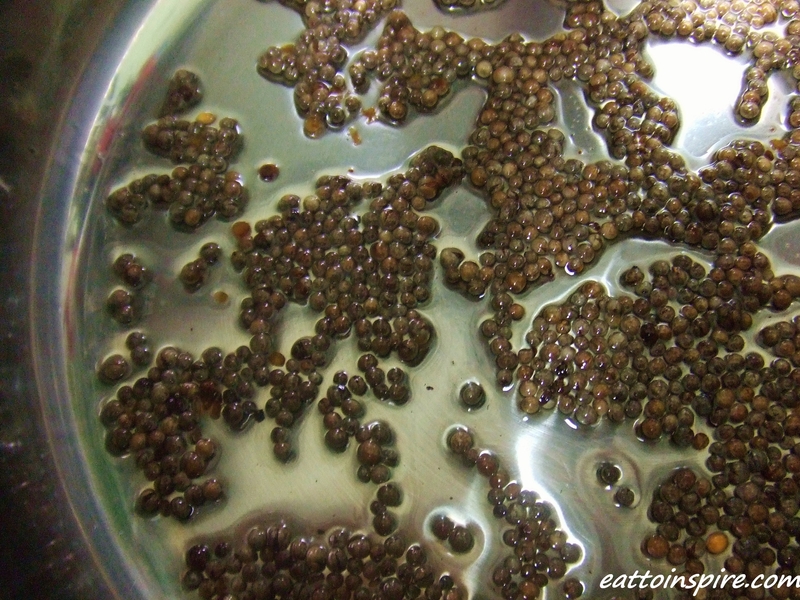 What is your favourite dal recipe? When have you stepped outside your comfort zone and had amazing experiences? Have you ever suffered from social anxiety? 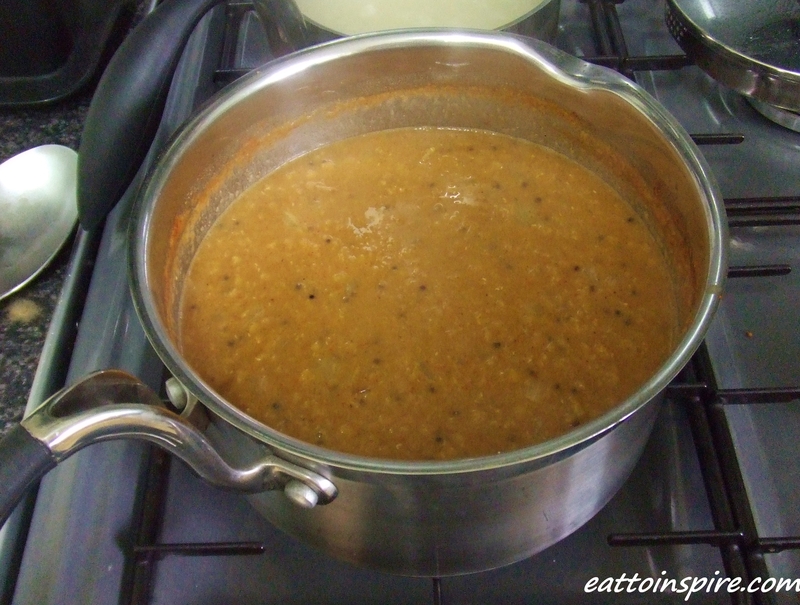 Give this dal a go, I am sure you will love it too.